What started as a teaching exercise became a landmark coproduction between Czech Television and Arte in the shape of drama series Lynč (The Lynching). DQ speaks to showrunner Harold Apter about creating the Czech show and bringing the US creative process to Europe. Czech drama Lynč (The Lynching) tells the story of an outsider, Lukas, who arrives in a small town and begins to investigate a murder, leading to the discovery of secrets and lies hidden among the tight-knit community. It was another outsider, though, US showrunner Harold Apter, who was instrumental in bringing the series to air. 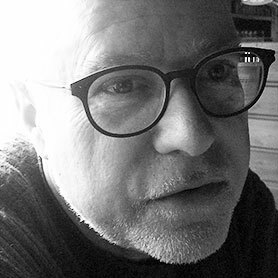 Apter, whose screenwriting credits include Ryan’s Hope, The Sentinel and Walker, Texas Range had arrived in the Czech Republic as part of teaching exercise to help develop new television writers. The scheme was backed by broadcaster Czech Television and several of the country’s film schools. The group created several pilots, which were then presented to the broadcaster and its head of content development, Jan Maxa, and Lynč was chosen to be developed further. 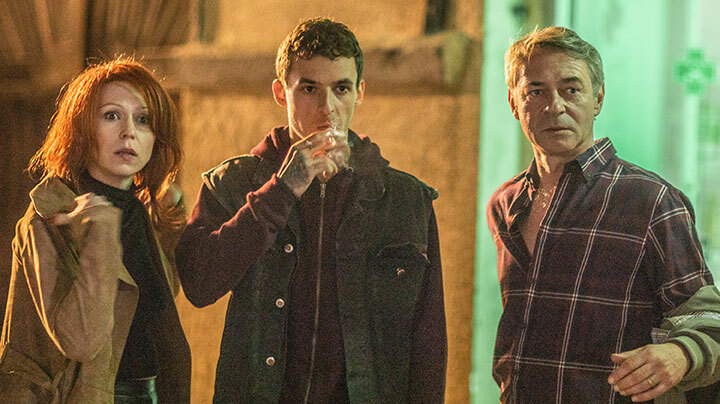 A six-strong writers room, plus Apter, pieced the story together and wrote the final scripts, with an eight-part series now due to air this year on Czech Television. In a landmark deal, it is also the broadcaster’s first coproduction with Franco-German network Arte, which has picked up the drama to air in 2019. Script work began back in December 2015, before further development was approved the following June. Five scripts became eight, which were then rewritten, before a decision to change a key part of the story – the killer’s identity – meant figuring out the first three episodes all over again. 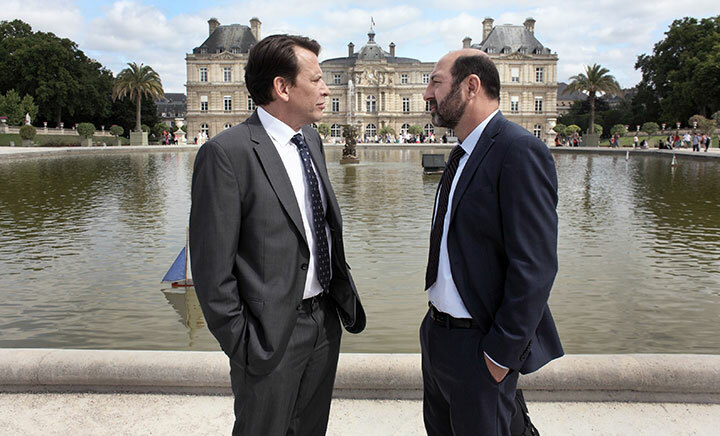 “We got to the end and the first episodes were not working as we wanted, which happens a lot,” Apter tells DQ at Série Series, where the series was presented to delegates in Fontainebleau, France. “Last summer we just decided it needed something – more depth – so there was a character who was in jail, but he’s not in jail anymore. Stuff happens to him that’s unexpected and we were able to build Lukas more because this guy gave us more stuff to explore. 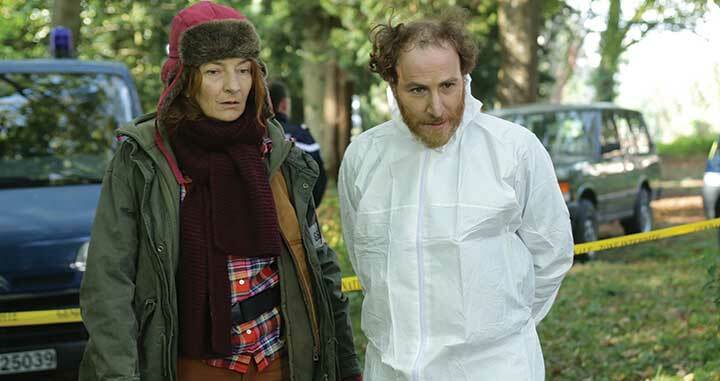 As well as the unusual origin of the project, Lynč stands out because it is a European drama produced under the US showrunner system, led by Apter. “I’m like a space alien,” says Apter, who also directs the series with Jan Bártek and Klára Jůzová. Apter also had to adapt to the local language, as the drama was filmed in Czech. However, during the two-year development process, the scripts were written and edited in English before one of the writing team translated the finished drafts. “It’s a strange experience, especially when I’m directing. I know what the scenes are, I know what’s being said but everybody around me is also speaking Czech,” he says. “I was not really prepared for that kind of situation, where everybody around me is speaking animatedly but I don’t know what the hell they’re talking about! But is the showrunner model practical in countries that have not used it before and where shows do not run to the same volume as US network series? Apter says it is “absolutely viable.” He continues: “I really believe there’s a reason why US television plays everywhere. It’s because of this system, because we have a consistency of storytelling that generates from the writer. So the difficulty in adapting this model to European television is that ‘who’s the director?’ question. Maybe you’ll have one director, maybe you’ll have five, but the director is there basically to serve the writer’s story and not the other way around. 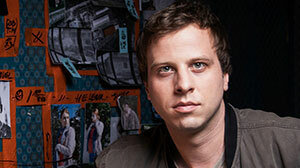 The Lynching features an ensemble of characters, led by Lukas, who brings the audience into the story. When he arrives in the town, he is confronted by different families with different problems, including the victim’s family and others who are discovered to be hiding deep dark secrets. It’s that focus on character that Apter believes is key to any drama’s success, noting that it’s the people portrayed on screen that keep viewers in their seats and away from distractions like they would be in a cinema. 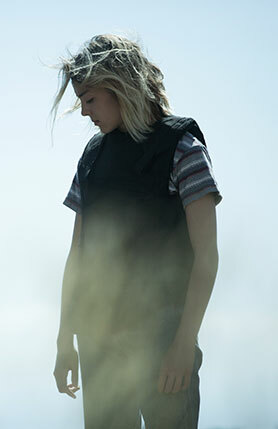 Described as a mix between Korean crime film Memories of Murder, seminal sci-fi movie Blade Runner and iconic TV drama The X-Files, French thriller Ad Vitam is set in a futuristic world where everyone believes death has been ‘cured.’ But what happens when the bodies of seven youngsters are discovered – apparently the participants of a mass suicide. The story sees Darius (played by Yvan Attal), a 120-year-old cop, tasked with investigating alongside his rebellious partner Christa (Garance Marillier). The cast also includes Niels Schneider, Rod Paradot, Hanna Schygulla, Anne Azoulay, Ariane Labed, Victor Assié and Anthony Bajon, with music composed by Parisian collective HiTnRuN. 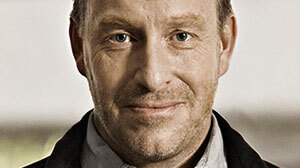 Produced by Kelija for French-German network Arte, the six-part series is distributed by Lagardère Studios Distribution. Ad Vitam screened earlier this year at Séries Mania in Lille, France, and today it will be shown at the Toronto International Film Festival in Canada. Here, director and co-writer Thomas Cailley (Les Combattants, Trepalium) tells DQ more about the series. How would you describe the story of Ad Vitam? In a world where death is thought to have been conquered, young people are finding it harder to find their place. 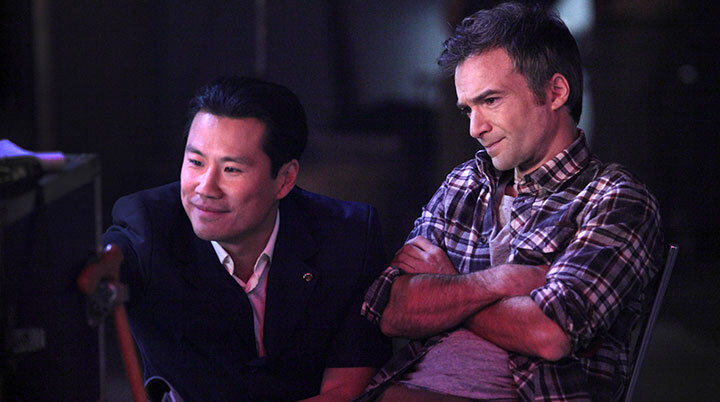 Darius, a 120-year-old cop, is investigating the collective suicide of a group of minors. Was it a death pact, a political act, a cry for help from a desperate generation? Darius heads up the investigation and takes Christa, a suicidal young rebel, along for the ride on this voyage of initiation to the depths of a world drifting toward eternity – or oblivion. Today, life expectancy in France is 82, well beyond the biological barrier we thought was unsurpassable only decades ago. Co-author Sébastien Mounier and I became interested in this desire for life extension, the far-fetched promises that come with it, and frightening transhumanist prophecies that consider death an anomaly, a disease that can be cured. Family, work and relationships would all be redefined. Among the countless questions raised by the promise of immortality, one seemed crucial to us: what place do young generations inhabit in a world where people don’t die? Can a civilisation survive without renewing itself, without evolving? It was this mind-boggling, existential malaise that we chose to explore. How did you blend elements of science fiction with the hard-boiled crime genre? We wanted to situate Ad Vitam at the crossroads of several genres, blending crime thriller, sci-fi, fantasy and occasionally comedy. The advantage of the crime thriller, and of hard-boiled crime in particular, is its porous nature. It’s a very ‘impure’ genre that allows for lots of things: to question and critique social order, develop complex characters and combine action with a kind of reflection, of poetry. The sci-fi setting as a backdrop makes the story stronger and the metaphor clearer. It allows for more candid questions about youth, death and passing down between generations. What type of world did you want to create? What rules did you put in place for the characters and society at large? We wanted it to be a world that was democratic and full of life – in other words, a world that asked itself questions. It is not a pure dystopia where an overpowering authority lays down the rules of the game, in the process confining the characters and reducing the metaphor to a societal game. We took this simple question as a starting point: if tomorrow we found a way to defy death, and it was sold at the local drugstore, who would we be to reject it? We wanted the regeneration to be a free and personal choice. In other words, a moral choice, accompanied by mind-blowing questions like is a person who doesn’t grow old still a person? Does eternal life still have meaning? Does death define one’s humanity? How was the story developed with Arte? We sent Arte a 30-page concept pitch, with elements of the synopsis, character backgrounds and a rough idea of its visual and stylistic world. Arte encouraged us to continue. When we sent them the pilot script, that’s when they decided to get on board. After that, we started a series of regular exchanges with them, about the drama and plot as well as our vision of the central themes of the series (the question of death and youth). It took a year-and-a-half to develop it. As organic as possible. Here again, we took the characters as the starting point. Who is Darius? What does it mean to be 120 years old? What does he need from Christa? What does their encounter stir up in them? How do their visions of the world differ? Do they still have anything to transmit to each other, in a world where there is nothing to transmit? And so on. The criminal intrigue followed, twisting its way around their personal journeys. Sébastien and I agreed we didn’t want to impose a preordained structure or story on the characters. Instead, we let the characters guide our writing, without planning ahead what would happen, which is why the ‘codes’ of this new world are not all set out from the start in the pilot. We learn how the society works as the story progresses. We wanted the adventure to be immersive, for their world to be revealed in depth, layer by layer. Evil does lurk in the shadows of this world, but it takes time to show its true face. What style or tone were you aiming for and how did you achieve this? We wanted to have the investigation unfold like a journey; a journey of initiation and of the senses. It is experienced by the characters and, I hope, by the viewers as something physical and philosophical, but also like a trip. To sum up, I’d say Ad Vitam is a cross between Memories of Murder, Blade Runner and The X-Files. How was music from HiTnRuN used to enhance the drama? I had already worked with HiTnRuN on my first feature, Les Combattants. I had really liked their sound and their approach, which combines electronic and analog music in a very natural way. Electronic music can often sound cold and automatic; this isn’t the case with their music. Generally, we agreed never to have atmospheric music. Music is either there or it isn’t, but when it’s there, you can hear it. It doesn’t hide and it’s never used to fill a silence. What were the biggest challenges on the series? Apart from two sequences, the entire show was filmed in real locations. That’s about 100 different sets for the six episodes. We tried to limit our use of green screens as much as possible. It was a necessary choice to make the story and its world as real as possible. The special effects naturally served to enhance the whole. But in terms odf creating worlds and decors in the abstract, we had neither the means nor the desire to do so. It’s something you can always sense in the end; it derealises the action and saps the emotion. I think to create and develop a complex, living world, you need to start with complex, living matter. 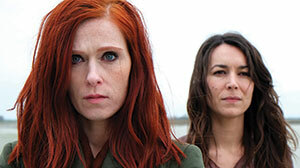 How does Ad Vitam stand out from other dramas in France? How does the series appeal to an international audience? Sci-fi and genre fiction in general allows for the development of powerful metaphors, and the building of an imaginary world that surpasses local particularities. I hope our series has all these strengths. Ad Vitam is French in its cast and language but universal in its themes and their portrayal. How is French drama opening up to new genres and stories such as Ad Vitam? It’s been a few years since a wave of freedom hit French television, and the boundary between film and TV has become blurred. Actors, directors and writers easily switch from one to the other now because they understand that television offers a creative space for truly exceptional projects, stories with very bold creative choices. There’s a real hunger for this genre in France, from both creators and viewers. 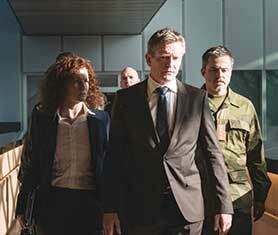 Comedy drama Kim Kong retells an unbelievable and compelling true story for French broadcaster Arte. Thomas Bourguignon from producer Kwaï Productions tells DQ about the series. It’s a story stranger than fiction: a movie director is kidnapped by a foreign dictator and ordered to make a new version of King Kong that will bring glory to his country. And yet the premise of French comedy drama Kim Kong is based on an unlikely true story. 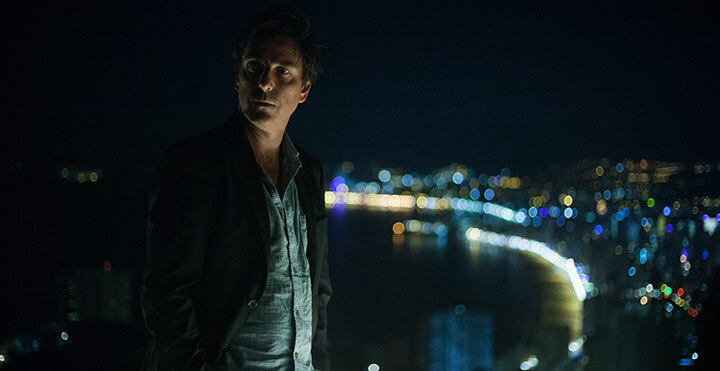 The series follows Mathieu Stannis, a bitter and frustrated director who, while shooting a mindless action flick in Asia, is abducted by spies from a neighbouring country. Enraged by his country’s abysmal movie production industry, the despot wants the French filmmaker to helm a new adaptation of classic monster movie King Kong that will glorify his regime. 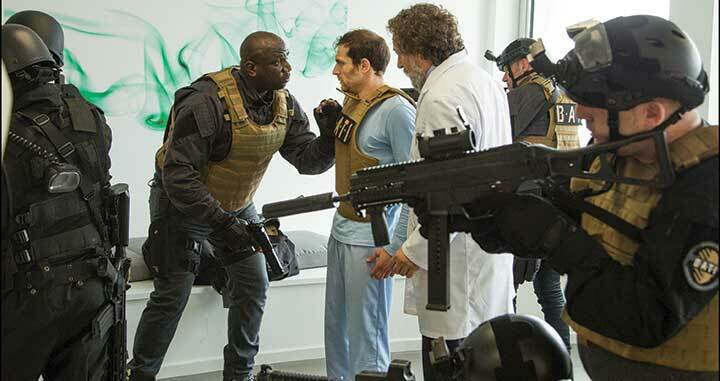 Faced with an inept crew, equipment that dates from the Cold War and the crazy demands of the dictator, Mathieu’s life now depends on the success of the film. 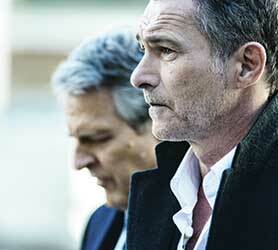 The series has a strong pedigree, coming from the firm behind political drama Baron Noir, Kwaï Productions. 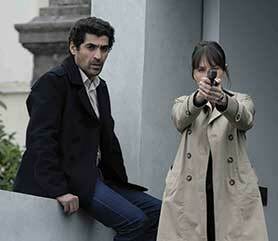 Armance coproduces the show for French broadcaster Arte, while FremantleMedia International distributes. Here, producer Thomas Bourguignon from Kwaï tells DQ about the story that inspired the series and the challenges he faced in production. What were the origins of the series? 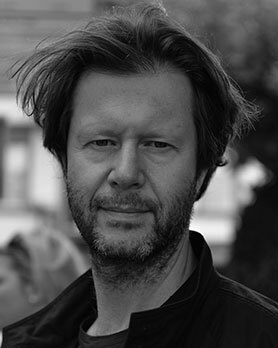 The idea came from Simon Jablonka, the screenwriter. He told me the story of South Korean director Shin Sang-ok who was kidnapped by North Korea in the late 1970s. The leader at that time asked him to direct movies, notably a remake of Godzilla, which is called Pulgasari. We wanted to make a show about this situation, with a guy who is kidnapped by a dictator who wants him to make a movie. We wanted to look at this kind of story and make a show not about North Korea but about dictatorship and the freedom to be creative, and how you can create when you’re trapped like this. Our other inspiration was Misery, Stephen King’s novel, because it’s also about a guy who’s kidnapped by a fan and he has to rewrite his last book because she’s not happy with it. So there were two sources of inspiration. We wanted to make this story not about a specific regime or specific country but about every country, every regime and every type of creator. It’s really about creativity and constraints. How do you balance the comedy and drama? The situation is very dramatic from the beginning to the end but it’s dramatic as in movies like Gold Rush, MASH or The Ladykillers. The ground is very serious but we build several distortions that make comedy. It’s a question of life and death but we wanted to have elements where you can do nothing but laugh. The situation is always serious and asks the main character, played by Jonathan Lambert, to be very serious. So everyone around him acts strangely but he is very straight. The conflict between his straightness and the strangeness around him creates the humour. How was the show developed with the network? We wrote two or three pitches describing the plot, the main characters, our sources of inspiration and what we wanted to speak about. We also discussed the work of a screenwriter in the world of broadcasters. Sometimes you are confronted by a situation when the broadcaster asks you to cut things and change things. It was funny to tell to Arte we were going to talk about broadcasters – they found it very satirical. Arte is one of the most creative channels in France so we were very at ease with them. We always worked with Arte because we were sure it was not something for other broadcasters – it was a question of format and spirit. It was a new kind of comedy for Arte too because this kind of comedy isn’t on TV. 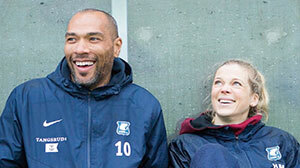 There were two writers: Simon Jablonka at the beginning, and then we hired Alex Le Sec. It was written very quickly – we knew where we wanted to go and we were precise about what kind of comedy we wanted to make. The question was more about the drama because we were asking ourselves, ‘Are people going to continue to laugh if we kill someone off?’ We also wanted to be very clear that the show was not about North Korea; it’s about a fictional country. So we had to ask ourselves a lot of questions about the language the characters should speak in this place. For a while we wanted everyone to speak in English because that’s the convention when you see an American movie, with everyone speaking English even though the action takes place in Germany or Turkey or wherever. But Arte were very clear they wanted it to be shot in French and another language because they are a Franco-German channel, so it was important for them to promote the French language. In the end we decided to let them speak in Chinese, as the action takes place in Asia and it’s a common language for the region – but it’s not about China either. It was easy for us to say it’s filmed in Chinese and it was also easier for casting to find Chinese-speaking actors in France because we have a big community of Chinese people in Paris. We spent a long time casting, as there are not a lot of French movies shot with Chinese actors. We were not sure we could find anyone, so we started the casting very early in the process, even before the scripts were finished, to be sure to find them in France. Arte was excited by our casting. The majority of the actors are Chinese-speakers, but not all of them. The ones who weren’t Chinese had to learn the language phonetically and it was a long process; they had to be trained by Chinese teachers. Frédéric Chau, who plays Choi Han Sung, and Christophe Tek, who plays the dictator, are not Chinese speakers, so they had to learn everything by heart. It was difficult for them but they did it very well. It was a real challenge for them and for the director to direct in Chinese too. How did the writers work with the director to create the look of the show? We made a mood board with the director, Stephen Cafiero. He’s a young director; it was the first time we worked with him and the first time he worked with Arte. He had done a very good family comedy before and I saw some of the commercials he had done as well. It was interesting for us because we had to create a whole world that doesn’t exist – the clothes, the set decoration, everything had to be invented. So he collected lots of images from lots of different regimes, from Russia to China, Korea to Cambodia, and we created the look of our regime using the mood board. We decided to mainly shoot in the studio because it’s a movie about movies and creation, so we wanted to control the look of the movie. We shot 90% in the studio in Paris, where we built the sets. As our country doesn’t exist, we wanted to create our own look. It was not in Cambodia, Thailand or South Korea, it was not in China. We never found the right country because they were either too modern, too old or too specific. It didn’t correspond to what we dreamed of, so we decided to make it in France in a studio. 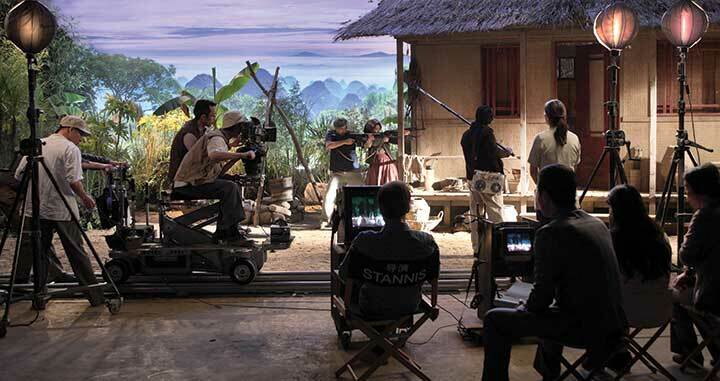 The exteriors were filmed in Thailand. After we finished shooting, we erased everything we didn’t want in the frame, using lots of special effects to erase houses that weren’t on our mood board. That took a lot of work in post-production. In addition to the casting and the language, finding out where we were going to shoot was also challenging. At one point we thought we were going to shoot in Kazakhstan because because we found very interesting locations there and we thought we could cast people from Central Asia. [Kazakh capital] Astana is an amazing city but it is very difficult to shoot there because Kazakhstan’s president is not very democratic. We scouted across the world looking for a set for a long time before finally shooting in Paris! Our King Kong is very small – that’s part of the problem for the director in the movie because the camera is very old, it’s shot in 16mm and the crew is very inefficient. And he has to shoot something, because the dictator has told him, ‘Either you shoot something or we shoot you.’ So the tension between the reality and what the dictator wants makes the comedy of it. What new stories are being told in France? This is something quite new; something that would have once been impossible. We first had this idea years ago, before Simon and I decided now would be a good time to try it. We were finishing Baron Noir and I said I would like to make a comedy about politics. It’s something that couldn’t have been done four or five years ago, but there have been many changes in France and broadcasters are more open-minded than before. They know the audience want something new, something different. They are watching series on different platforms. It’s a good time for producers and creators. Never one to shy away from a challenge, Adam Price’s first major TV project brought the machinations of a coalition government to Danish screens with Borgen, which picked up an International Bafta during its three-season run. Now he is taking on religion in Ride Upon the Storm, with two seasons of the show already commissioned by Denmark’s DR and Arte France. 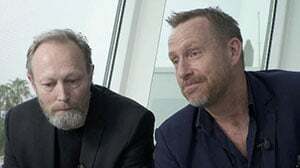 Sitting alongside star Lars Mikkelsen, Price tells DQ how he hopes to address the big questions of life and religion in the show, which ostensibly focuses on the family of Mikkelsen’s priest Johannes, his wife and, in particular, their two sons, who each choose different religious paths. Ride Upon the Storm is produced by SAM Productions and distributed by StudioCanal. 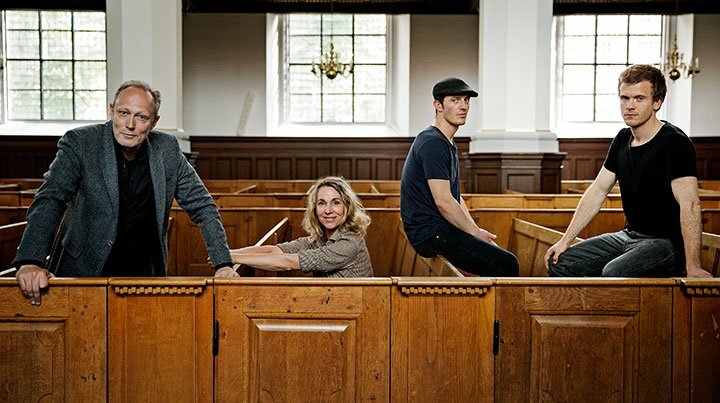 A family of priests are at the centre of Herrens Veje (Ride Upon the Storm), Danish writer Adam Price’s follow-up to political drama Borgen. From a topic that may not immediately seem the most exciting – coalition politics in Denmark – Borgen creator Adam Price (pictured above) crafted a captivating drama that gripped audiences around the world. And now, turning his attention to religion in the forthcoming Herrens Veje (Ride Upon the Storm), the writer is hoping lightning will strike for a second time. The series reunites Price with producer Camilla Hammerich and Danish broadcaster DR to tell the story of a family of Danish priests. While one son has followed his father into the priesthood, his brother has chosen another path. 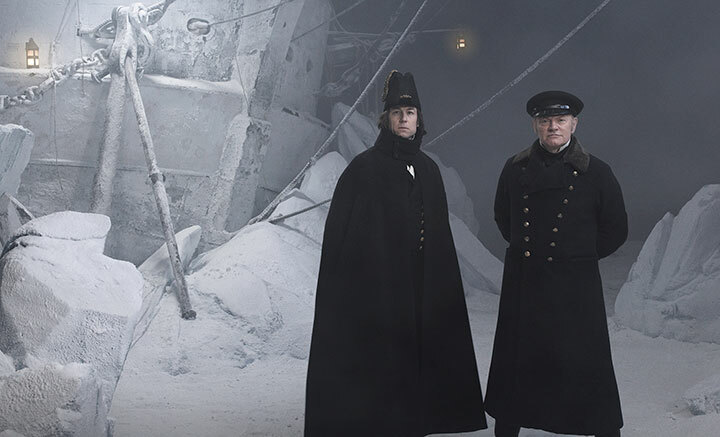 The cast is headed by Lars Mikkelsen and Ann Eleonora Jørgensen as the parents, with Simon Sears and Morten Hee Andersen as their grown-up sons. “I can think of no other broadcaster in Denmark that would be willing to tell a story that is as tricky, difficult, demanding and potentially provocative as this will be,” Price says. “My last show dealt with politics and I thought, ‘Where do I move from this?’ You can [take inspiration from] so many emotions as a writer – the emotion for this show is definitely curiosity. DR is producing Ride Upon the Storm as a coproduction with French-German network Arte and SAM le Français, in association with distributor StudioCanal. 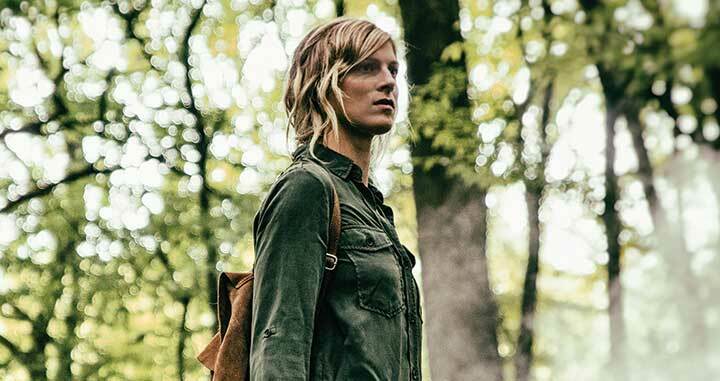 The series, which is being filmed in Denmark and Spain, will debut this fall with 10 episodes, while DR has already ordered a second 10-episode season scheduled to air in autumn 2018. 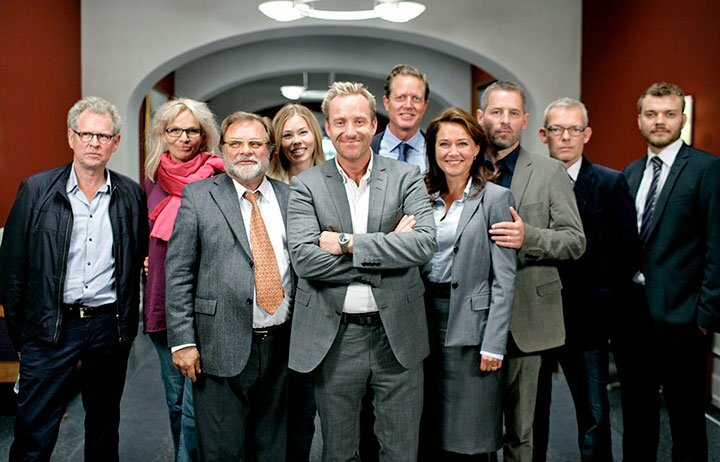 Alongside Forbrydelsen (The Killing) and Broen/Bron (The Bridge), Borgen is regularly held up as one of the TV dramas that brought Danish – and Scandinavian – drama front and centre on the world stage. With the show in development for two-and-a-half years, Price spent six months working on Ride Upon the Storm by himself before setting up a small writers room, just as he did with Borgen, which was penned by just three writers for the first two seasons. 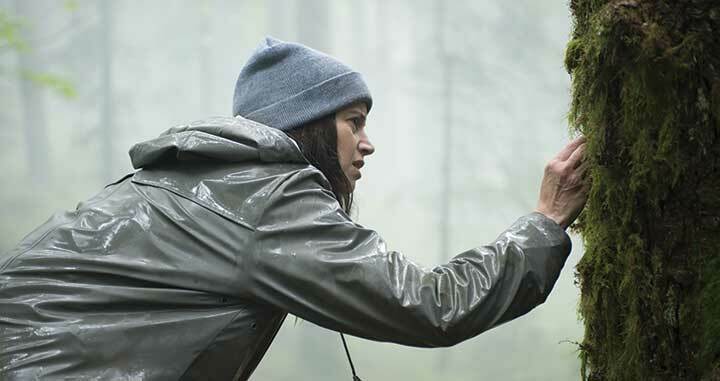 Staff writers Karina Dam and Poul Berg joined Price in writing the first 14 episodes across Ride Upon the Storm’s two planned seasons, while Price and Dam are completing the final six episodes together. like this that we take religion and faith extremely seriously. 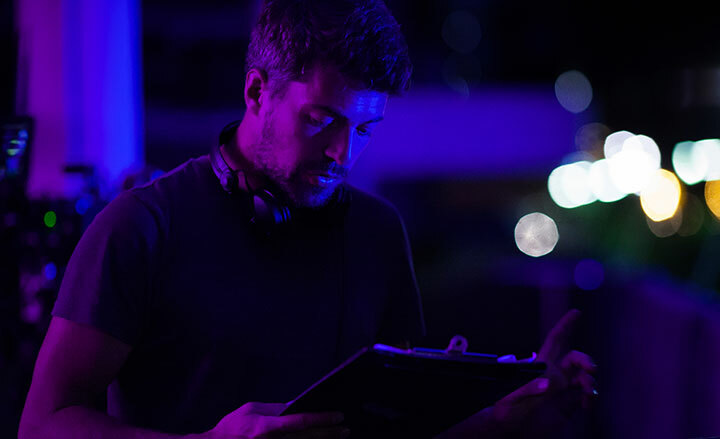 As the head writer, Price is typically hands-on across the entire project, overseeing up to six drafts of each script before they are approved for shooting. “I try to sketch out the full season because we need to know what we are moving towards so we don’t invent the world anew every time we storyline and pitch an episode,” he says. “It’s very important to know the end point on the map, so that while we can make many interesting and meaningful detours, there is a very clear course set for the whole story. Research is another part of Price’s writing process, but he says it’s important not to become “lost” in details that can limit creativity in the writers room. A priest has also been on hand as a religious advisor, sitting in the room once a month to listen to pitches for the next block of episodes. After the success of Borgen, which ran on DR for three seasons and starred Sidse Babett Knudsen as the Danish prime minister, Price admits he tries not to concern himself with the expectations over his follow-up series, which is coproduced by the SAM label founded by Price, fellow writer Søren Sveistrup (The Killing) and producer Meta Louise Foldager Sørensen (A Royal Affair) in 2014. Also on SAM’s slate is Gidseltagningen (Below the Surface), a hostage drama for Denmark’s Kanal 5, and Mercur (Something’s Rockin’), a radio station-focused show that launched in March on TV2 Charlie. 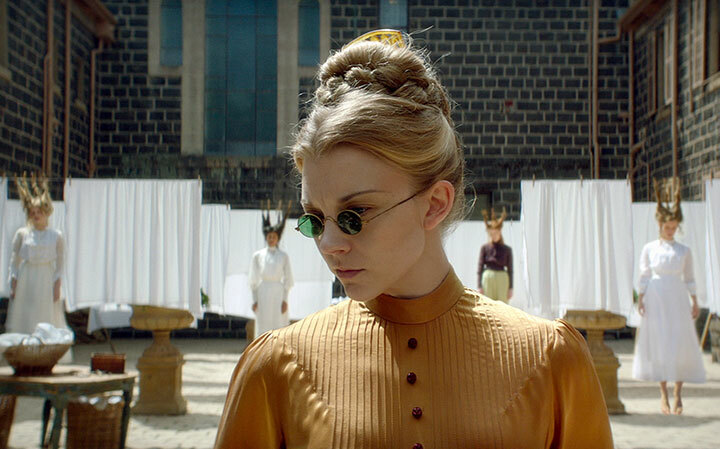 The company also has projects in development in Denmark and the UK, as well as the US with HBO and AMC. “The Danish industry has changed – it has become much more international,” Price says. “We should just be grateful that we’re able to finance these shows with big countries in Europe and across the world.